There have been a plethora of cover reveals lately. And, while normally I’d share them on my blog, there’s just too many for that. So I decided to show you one of my favorites. I haven’t read the first book, so I’m trying to avoid the spoilery blurb, but what do you think about the cover reveal? Does it match up with the themes of the book? I personally enjoy the covers are similar, I just don’t like the very plan text. I feel like Snow Like Ashes spiced up the cover a little with black and white words. I wish they could have done something similar with this one. 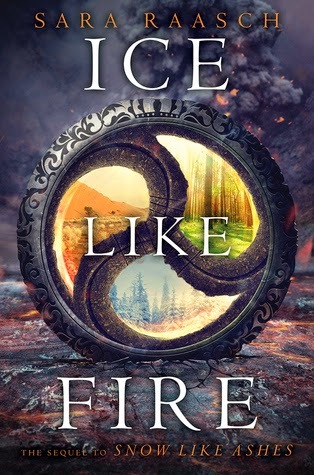 What are your thoughts on Ice Like Fire or any of the other cover reveals out there?